Clifford “Chopo” F. Hague, 83, who moved to Santa Barbara County with his family in 1947, passed away on April 7, 2017 at the skilled nursing facility, The Californian, following a lengthy illness. He was in the seventh grade when his family relocated from L.A. County to Santa Barbara. He subsequently attended Santa Barbara Junior High, where he excelled in baseball, and Santa Barbara High, graduating from the latter in 1952. Joining the U.S. Navy in 1953, he went on to serve as a boatswain’s mate third class during the Korean War. After his service ended in 1956 he became a U.S. Post Office letter carrier in Santa Barbara and Goleta. A devoted sports fan who closely followed the stats of college football and basketball, and pro-baseball, the athletically-built Clifford spent a number of years working with kids on local sports teams – including those at Harding School. Known for his infectious laugh and quick wit, he was an avid fan of old movies (especially the comedies of Bob Hope) as well as a collector of comic books, wind-up toys, movie posters, and other pop culture ephemera. Though Clifford left the area in 1992 – to move to Merced – he returned in 2000. In his latter years he enjoyed sitting in on criminal trials at the Santa Barbara Courthouse. And, he was a regular at the downtown McDonald’s. An animal lover (a family trait), Clifford owned a three-legged cat named Ziggy, who is now in the care of his son. 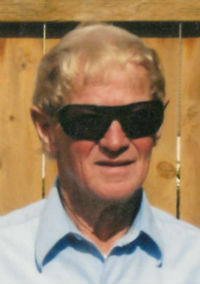 Clifford was preceded in death by his twin sister Merlin Sorensen, older sisters Beverly Hague and Elaine Barnes, and brother-in-law Rudolph Winter Sorensen. Along with son Clifford and his partner Marge, survivors are: daughter Monica Hague; wife Mary Ortiz; brothers Claude and Floyd Hague; and five nieces and nine nephews. The family wishes to extend heartfelt thanks to the staffs of Lompoc Comprehensive Care, Sarah House, The Californian, Cottage Hospital and the Lompoc Valley Medical Center – and to Clifford’s longtime cardiologist Dr. Thomas D. Watson, and primary care physician Dr. Shaun Ehsani. A graveside service will be held on Friday April 14, 2017 at 10:30 am at the Goleta Cemetery, 44 South San Antonio Rd. Santa Barbara, CA.